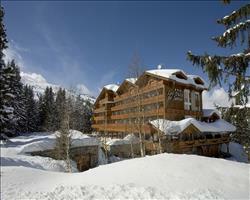 This hotel has a fantastic location in Courchevel, close to the Croisette ski lifts and the resort centre. Offered initially on a bed and breakfast basis, this property also includes a free lunch each day at the Hotel Le Mottaret. An option to upgrade to half board is also available providing evening meals in a selection of restaurants close by. There is a comfortable bar with open fireplace and if you are looking for good value accommodation in 1850 then this is for you. We update Hotel Olympic's details often, but facilities do change. e.g. some extras listed by the supplier as "free" or included might only be for the first time you use them, or for one time per party, then charged for further use. If any specific feature is essential to your holiday, make sure you ask us to confirm the details of it before you book your holiday. 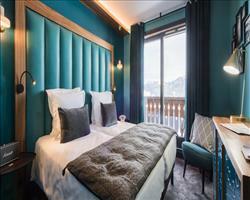 This package holiday to Hotel Olympic in Courchevel, France departs Saturday 14th December 2019, for a 7 night stay on a "half board" board basis. A local tourist tax (Taxe de Sejour or Kurtaxe) is levied by many councils in European ski resorts. It varies by standard and type of accommodation and is age dependent, so not everyone is charged. It's not included in the basic price of your holiday and is usually paid locally. For reference, the average charged in winter 15/16 was between 50p and £2 per person, per night. Courchevel lift pass price last reported as €218 (adult 6 day). Ask for a quote when booking Hotel Olympic. Fahrenheit Seven ... Courchevel France, Dover Ferry 14th December. Hotel Ducs de Sav... Courchevel France, Dover Ferry 14th December.